SRAM has unveiled the latest version of its Force groupset for 2010 plus a cable shifting upgrade for its top of the range Red gruppo. As you would expect with any new groupset the accent is on dropping weight while boosting performance and that's certainly the case with both the range changes announced by SRAM. While the new Professional cable system for Red will not shed many grams it is claimed by SRAM to represent a big improvement to an already slick shifting performance representing a particular advance in terms of shifting durability. SRAM Force does drop a chunk of weight for 2010 and depending on the variant you choose, the GXP bottom bracket option or the BB30 version, it works out at between 100g and over 200g lighter than the 2009 Force groupset. 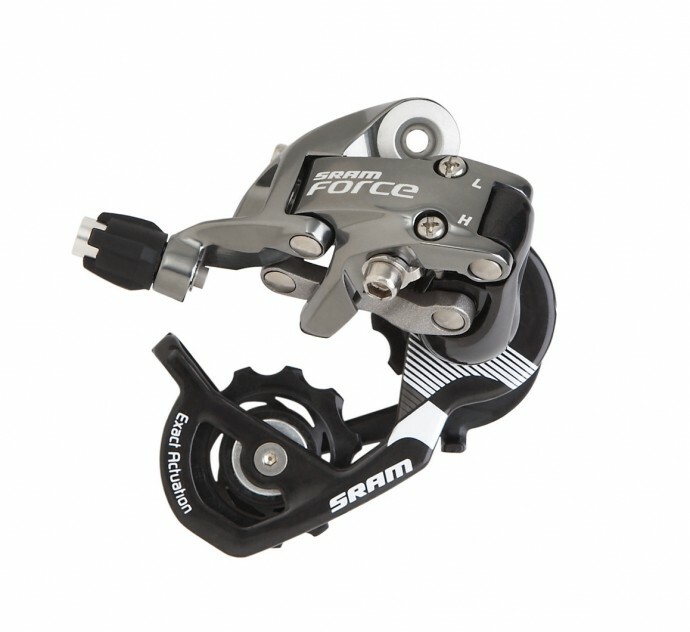 SRAM also claim that the two versions of Force are respectively 179g and 352g lighter than Shimano's Dura Ace 7900. Other highlights of the new groupset are beefed up Red-style dual pivot brakes, SRAM describes the design as 'skeletonized'. As well as being more powerful the new brakes also feature a lot more adjustment than their predecessors. The spring tension can be adjusted, as can the centre tension – SRAM say they are also easier to set up and that the reach adjust feature will allow every rider to customise the fit of their brakes and gear shift lever for the perfect fit. All the carbon used in the groupset is now unidirectional rather than a mix of unidirectional and multidirectional – the advantages for the user are an increase in strength and a decrease in weight. It also looks good and has manufacturing advantages for SRAM when it comes to applying graphics and logos. The aluminium in the groupset gets an anodized satin finish too. The other bit of good news on 2010 Force is that the upgrades and dropped weight come at no extra cost – prices for Force will be pegged to 2009 levels. Mind you, that's still fairly pricey. The BB30 bottom bracket standard basically amounts to a bigger hole for the crank spindle so the bottom bracket can take a spindle up to 30mm in diameter. 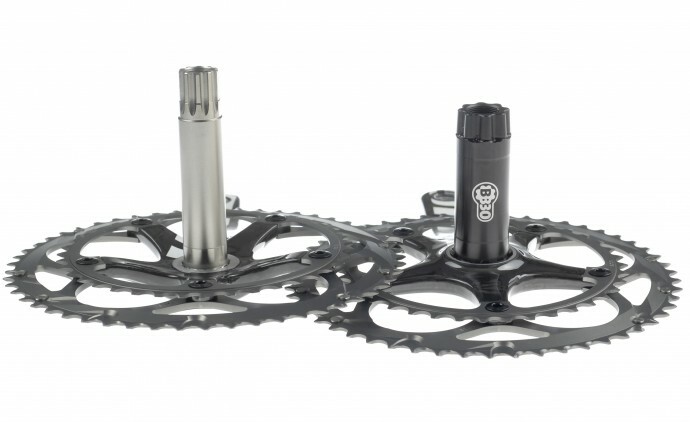 This - say proponents - has advantages in terms of increased stiffness but lighter weight for the crankset. It was pioneered by Cannondale who opened it up to the rest of the cycle industry – many other manufacturers have adopted it. 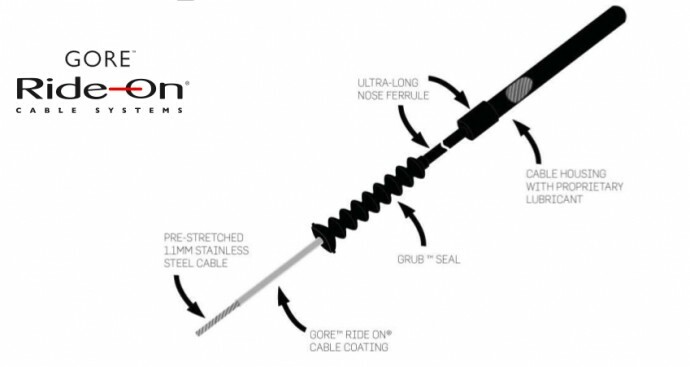 SRAM Red meanwhile gets a new sealed low-friction cable shifting upgrade the Professional System – back compatible with all existing versions of the groupset – which SRAM have been working on with Gore whose RideOn low friction cable system has featured on all previous version of Red. The new system focuses on giving smooth shifting and shifting durability. 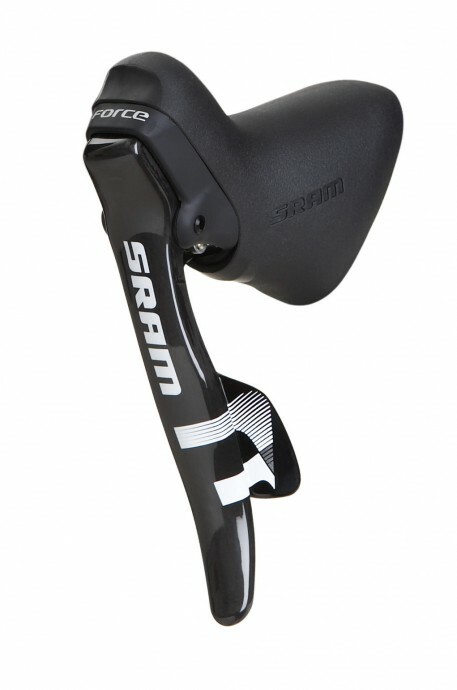 SRAM say it will also set a new benchmark in low friction shifting. “The system has been re-engineered from the bottom up and starts with a 1.1 mm pre-stretched stainless steel cable, which is coated with an all-new, patented GORE RideOn low-friction polymer. In addition, the polymer liner inside the cable housing complements the GORE RideOn cable coating; a synergy that provides the lowest amount of friction possible. “The feedback that we have had on our side, is that once the system is set up it does not move. It stays the same, no readjustment needed,“ he told us. 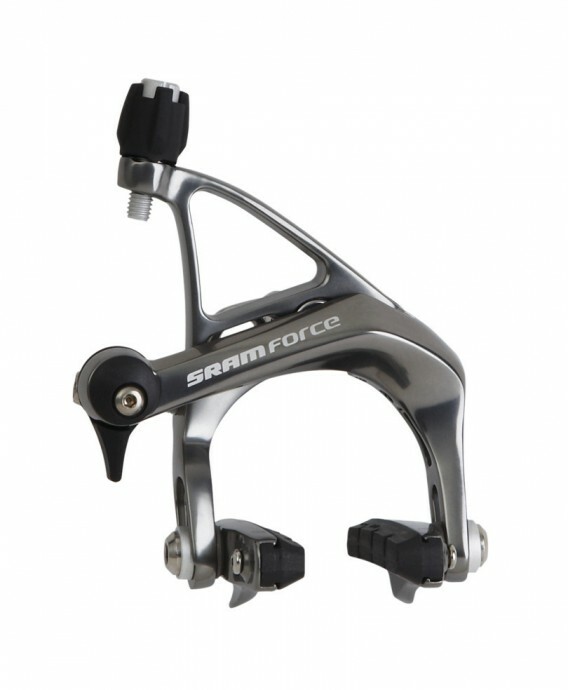 2010 SRAM Force should be in the shops this July as will the new SRAM Red Professional System.